Well, most of you you might have seen this verb: “essen”. So, up here, you can see its 1st person singular form in the present tense. After that, you can see its form in the past tense. Can you tell me, why this verb changes completely from one tense to another? Well, I can tell you why: It’s a German irregular verb! Actually you have already entered one of the most ugly parts of German Grammar. So, you better be positive – once you have understood this topic, there is nothing that can frighten you anymore. In the following, I’d like to give you some examples for irregular verbs. Furthermore, I’ll present to you five useful tricks that will help you to master this topic. It is important that you also understand in general about German verbs. Of course, knowing that by passing this topic you master one of the most difficult ones in German should not be your only encouraging factor. So, here is why German irregular verbs are actually that important. Probably it’s unnecessary to talk about the crucial importance of these verbs in German, as well as in the English language. So, in order to conjugate them in a correct way, you should master irregular verbs. Well, to think, to help, to eat, to run — all of these common verbs are irregular. Unfortunately, messing up verb conjugation can mark you pretty quickly as a non-native speaker. So, just imagine if you heard someone say “I runned” instead of “I ran.” It would be a tip-off that this person was learning English. That’s why it’s important to learn how to conjugate these verbs. In the following, I’d like to present to you four tricks that could help you mastering German irrgular verbs. Of course, most of you know that there are actually three kind of verbs: Weak, strong and mixed verbs. Well, that also the main reason why you say “du läufst” instead of “du laufst”. 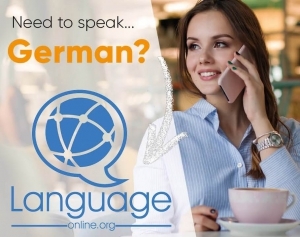 Although you might think that you have mastered German irregular verbs by knowing how to conjugate them in the present tense – I have to disappoint you. Unfortunately, their forms in the past tense are as irregular as the ones in the present tense. 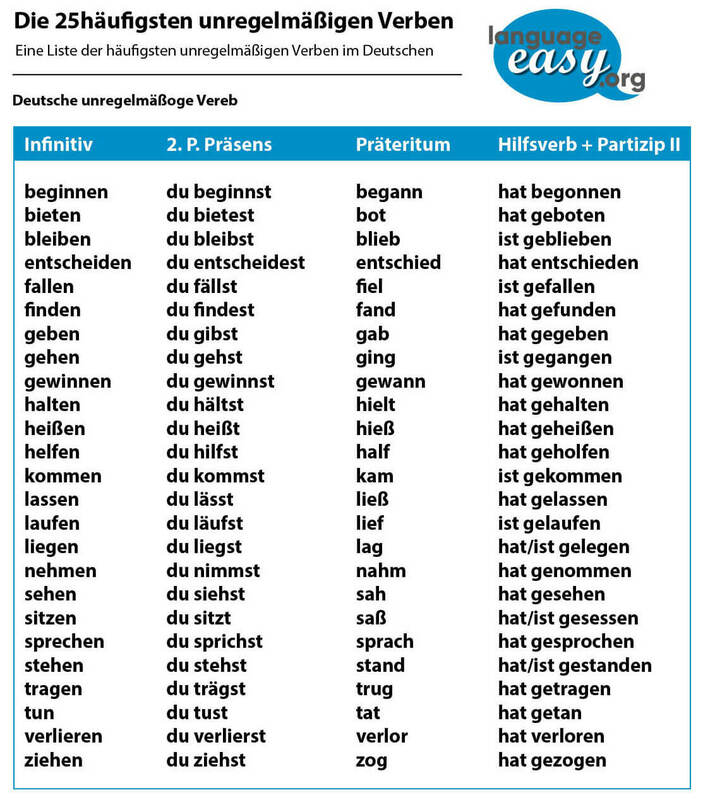 Well, at least there is one rule: All strong verbs in German use -en at the end of their stem to form the Particip II. So, a mixed verb is a verb that combines some characteristics of weak verbs and strong verbs. Well, almost all mixed verbs are regular in the present tense, but in the past tense, they combine the ending of a weak verb (–t for Particip II, and –te for Präteritum) with the vowel change of a strong verb. In the following, I’d like to present to you the most common mixed verbs. Basically, an “–ieren” verb is one of a handful of verbs, many of which came to German through French, that end in “–ieren”. These verbs follow the pattern of weak verbs, except in one way. In the Particip II form, instead of putting “ge-” at the beginning, you simply put a “–t” on the end. “Diskutieren” (to discuss) is formed in the past as “Ich habe diskutiert” (I was discussing). “Existieren” (to exist) is formed in the past as “Ich habe existiert” (I was existing). “Fotografieren” (to photograph) is formed as “Ich habe fotografiert” (I was photographing).